That’s what the angels ask the apostles at the Ascension, and that’s what they ask us, too. 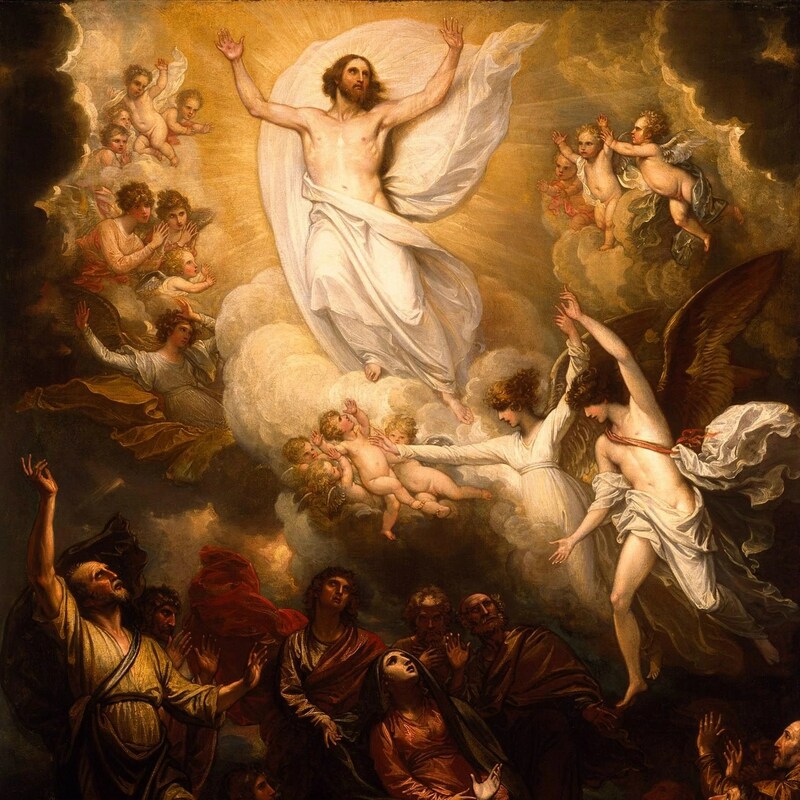 This Sunday is Ascension Sunday (Year C) in most of the United States — Boston, Hartford, New York, Newark, Philadelphia, and Omaha celebrate Ascension Thursday. Why are they looking up at the sky? They left everything to follow Jesus, they worried when he died, were dazzled by his Resurrection appearances and have just witnessed his last amazing act, as he disappeared into the sky. They have been lulled into a kind of stasis by it. This is a huge, difficult transition for them. The Master had directed their lives throughout his public ministry. Their job was simple: Do what Jesus says. Now he won’t be there in the same way for them. It would be like this if an airplane pilot-instructor ending a training session by strapping on a parachute, telling his crew that they now have to finish the flight — and then leaping out of the plane. It is also the transition that the Church has to make in our time. The Second Vatican Council saw the Church facing the modern world and called for a particular emphasis: The laity had to step up their participation in the Church’s mission. There followed years of misunderstanding as the Church figured out how to follow this new direction. Pope John Paul II led the way, promoting the mission of the laity through encyclicals, the World Youth Days and the Jubilee. Pope Benedict XVI embraced that emphasis in the Synod on the New Evangelization. Pope Francis has promoted it throughout his pontificate, as well. Suddenly, like the apostles on the hill of Galilee, we might become aware that we are standing, dazzled by it all. We might feel overwhelmed by the enormity of the task. We shouldn’t be. The instructions are the same and the means are the same: God doesn’t expect us to do the impossible for him, he expects to do the miraculous through us. Christ isn’t in the sky. He is here, among us: In the tabernacle, we have access to his very life, and in his Church, we have access to his truth. The thing to do is to look to Pentecost and invite the Holy Spirit to come and change us, as it changed the apostles, from a lost and bewildered flock staring at the place he left into the body of Christ, looking for the next place he can go.